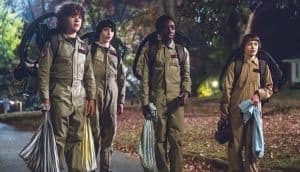 Stranger Things is a Golden Globe Nominee | Nerd Much? David Harbour has been nominated for best supporting actor. The Golden Globes have apparently been running for a full 75 years, making at least a few people feel old. This year we’re seeing quite a few Netflix originals showing up on the nominee list, like Stranger Things. The categories that Stranger Things has been nominated for are best drama series, and David Harbour as best supporting actor for his role as Jim Hopper. Not only was Hopper taking care of El like she was his own daughter, he ended up getting stuck in a demogorgon tunnel, and later on had to deal with Hawkin’s Lab bad decisions. Hopper’s story was not only interesting, but we got to see the man go through quite a few different emotions. His care for El and Joyce Byers really shone through, along with his ability to think on his feet and outwit the people around him when need be. 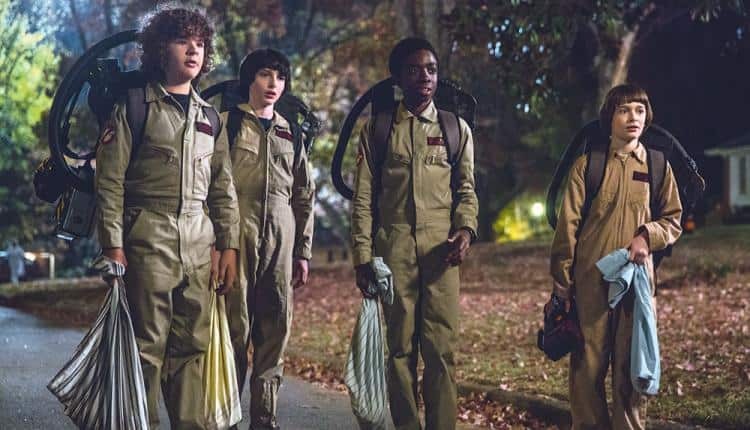 Fans of the show might argue that there are plenty of great actors in Stranger Things and all of them deserve a nomination. For those, there are other awards that can be won and nominated for when the next season comes out. Some of the other TV show nominees include This Is Us and The Handmaid’s Tale. The latter has Ann Dowd nominated for best supporting actress and Elisabeth Moss as best drama actress. This Is Us has Sterling K. Brown nominated for best drama actor. For any Outlander fans out there, unfortunately Caitriona Balfe has indeed been nominated for best drama actress as well. It’s the only category Outlander made it to. As much as a nomination will get more people watching the show, Balfe isn’t exactly a fan favorite to play the main role of Claire. Almost all of the supporting actors in that show do a far better job, but that it is not up to us fans to decide. On the movie side, The Shape of Water, Get Out, and The Post made it to the list. Each hit quite a few categories, including best actor, best motion picture, and and best actress. Check out the link below for the full list.